I am an out and proud queer transgender man. It has taken me a while to be able to say all of those words together. I grew up before computers were available in every house and in almost every hand. I had no visible role models. I first came out as a lesbian almost 30 years ago, and before Ellen DeGeneres was on TV screens across the nation, I saw no one like me around. It took nearly two more decades for me to come out as trans. It was not because I didn’t know my identity…it was due to lack of language and access to a culture I knew little-to-nothing about. In fact, when I was finally able to voice out loud to friends — “I am trans” — there still wasn’t the representation of trans men in media. 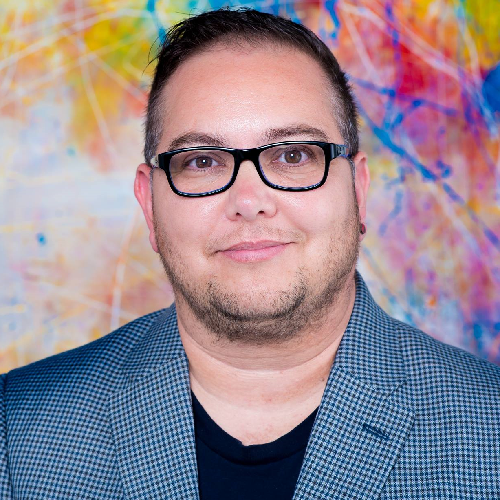 Thanks to a wonderful group of trans and nonbinary people in Houston, I was able to come out and forge my path. I knew then that I always wanted to be visible so other transgender people would not have to go through what I went through looking for role models and guidance. I want the community to see people and know what is possible and to know they are not alone. I went on to start the TransVisible Project with a friend for two reasons. 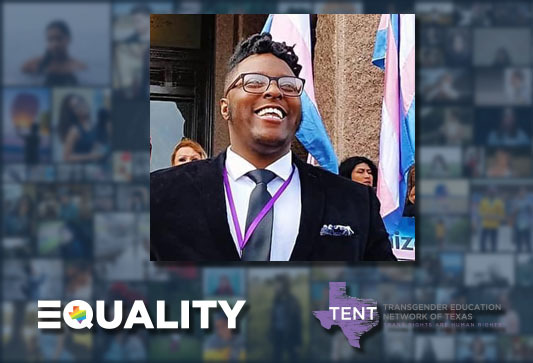 First, to show Texans that trans people are their neighbors, co-workers, and friends. 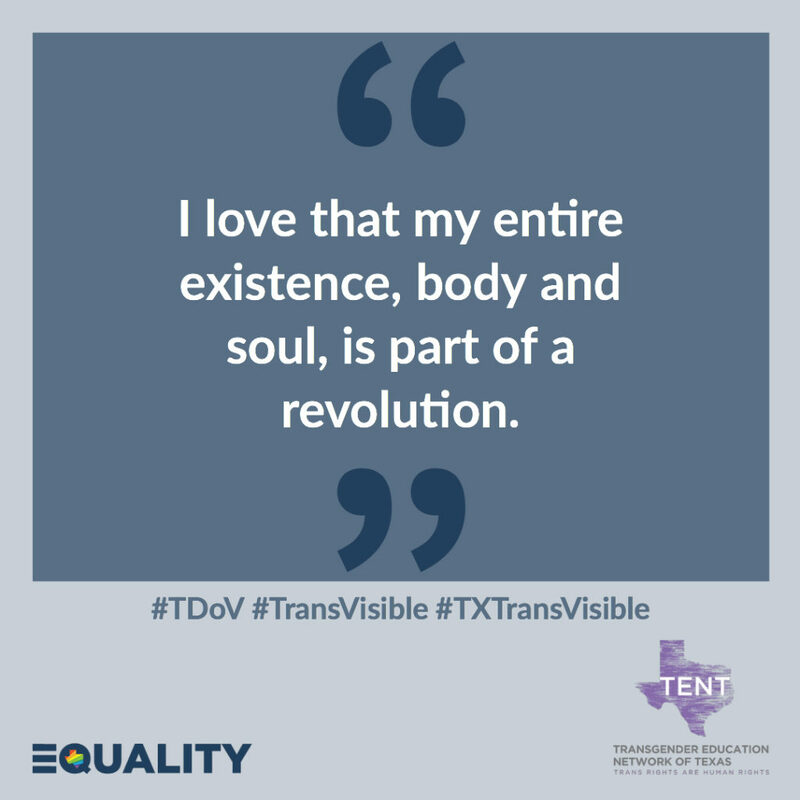 Second — but also, just as importantly — to show transgender Texans that we are here and proud. 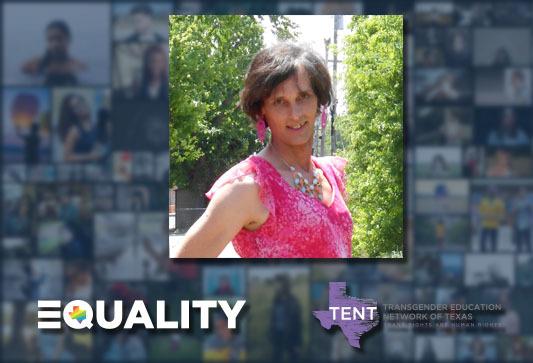 Now hearing from parents of transgender youth like my friend, Rachel Gonzales, I am so proud of that visibility and what it means to kids like her daughter when she can see an army of trans adults testifying and fighting for all of us at the Texas Lege. 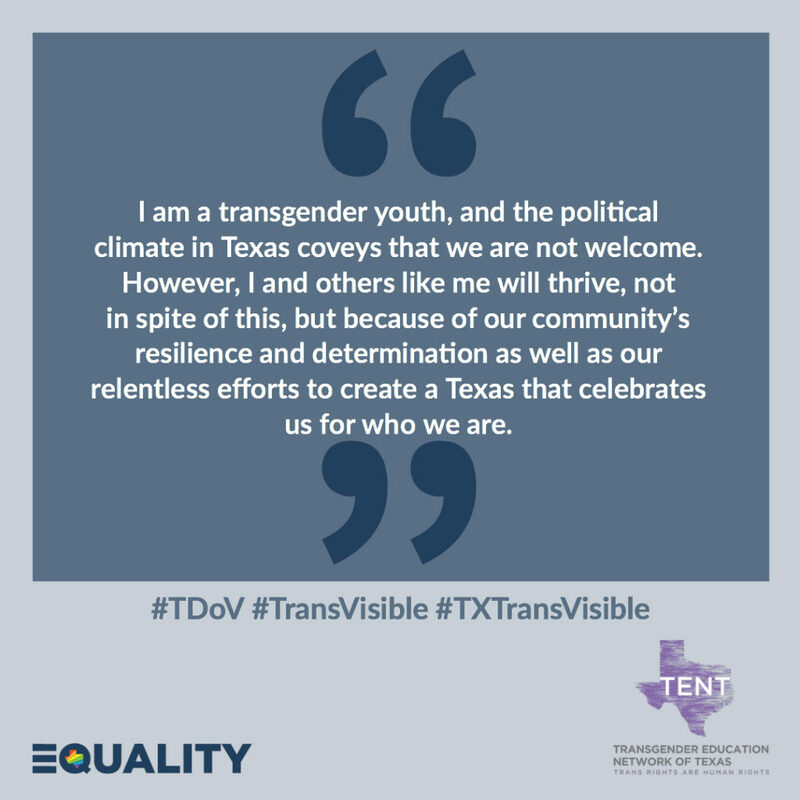 The transgender community is under attack from legislators once again, and I feel it is more important than ever for me to be #TransVisible for myself and for those that can not be. Trans people will not be erased or forced back into the closet.